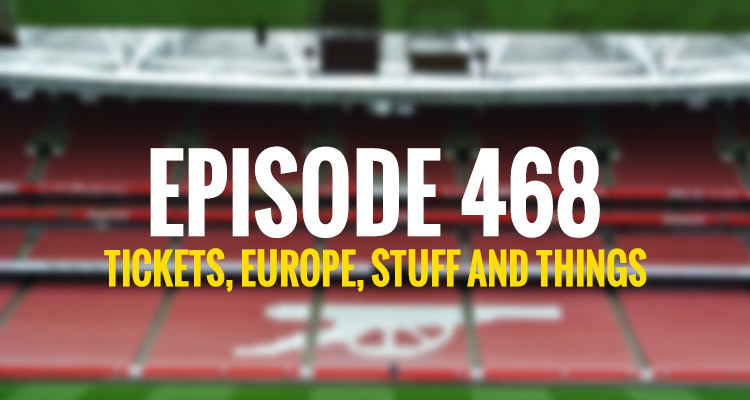 After a slow Arsenal news week, this episode begins with Daniel Storey of Football 365, and we look back on the Premier League season as a whole after Man City have been crowned champions. We chat about the quality in the league this season, safe-standing, as well as Arsene Wenger, his future and how the Europa League looms over what remains of this campaign. Then Tim Stillman joins me to discuss the manager’s comments about attendances which he says are no big concern (Arsene, not Tim), the reasons for fans staying away, ticketing, extra club level seats, and more, plus there’s some of the usual waffle too. Follow Daniel on Twitter @DanielStorey85 and Tim is @Stillberto.